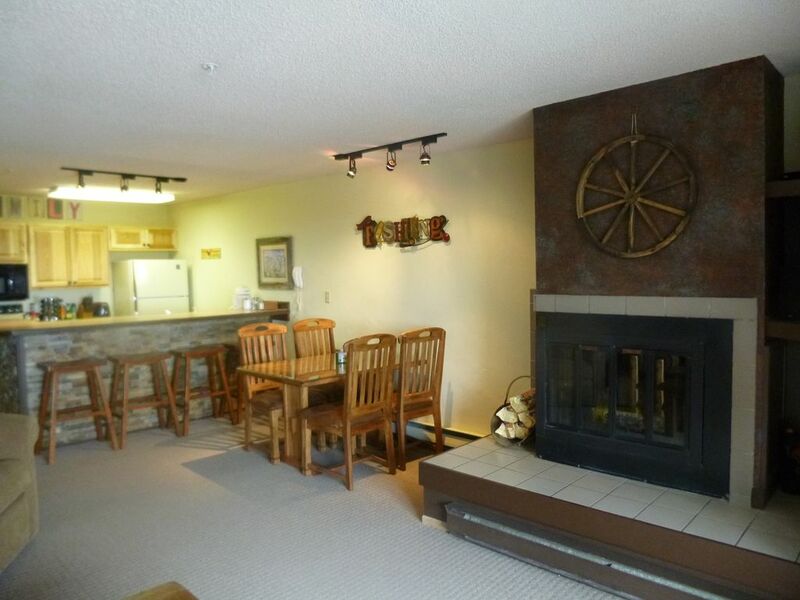 Communal and only available in ski season. Location is amazing and views of the valley from the balcony awesome. Interior was as promised—a little dated but comfortable. We did find some dirty pots and pans and silverware. Cable went out while we were there which was a problem only because of March Madness! Despite the few hiccups, we would stay there again. Great location! Fair price. Comfortable accommodations. The only complaint I had is that the sofa bed tilts down toward the feet and needs a repair or adjustment to make it level. Overall, great location and accommodations. Great location and view. Big and well stocked kitchen. This place was everything we wanted! My daughter and I stayed here for an extended weekend ski trip. What a great place! The place was bigger than it looks from the pictures. The location cannot be beat -- it's an easy walk or ski to the chairlift. I would definitely stay here again -- hopefully next year! Very nice stay, and you can’t beat the location in terms of ski in/out.